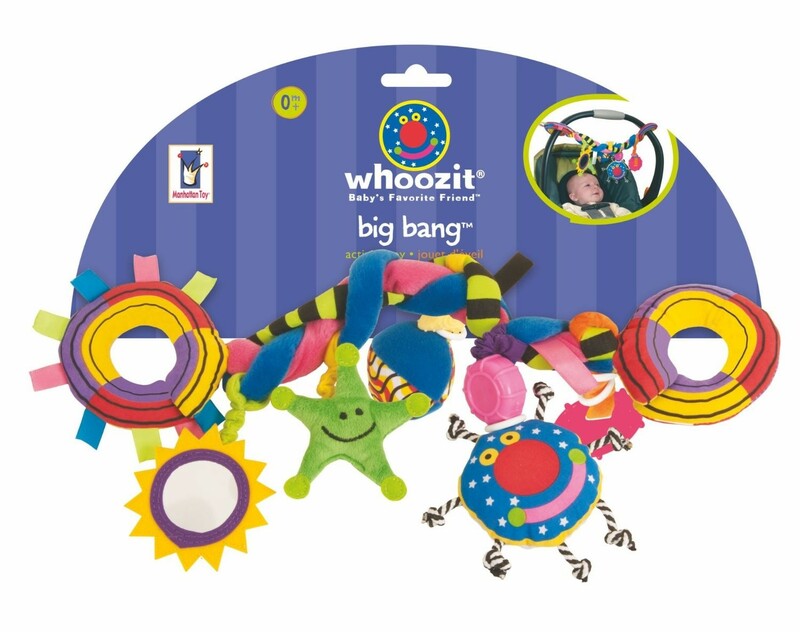 Let your baby to have some developmental fun on the go with this Whoozit Big Bang of soft toys, rattles and teethers! 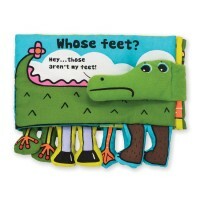 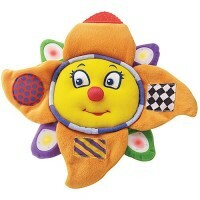 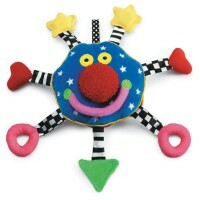 Whoozit by Manhattan Toy is infants' and parent's favorite baby toy series! 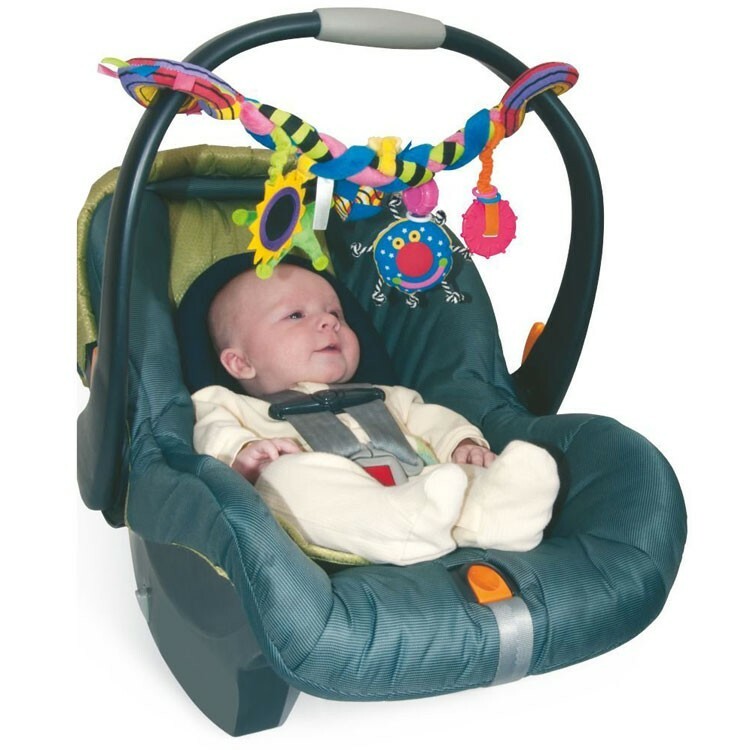 Whoozit Big Bang Car Seat & Stroller Baby Toy is a great baby travel toy to entertain your little one on the go! 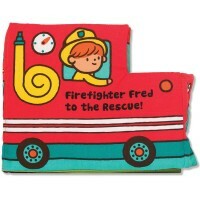 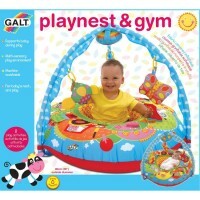 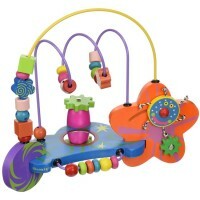 This baby car seat toy features a bendable soft baby toy with multiple manipulative play add-ons. 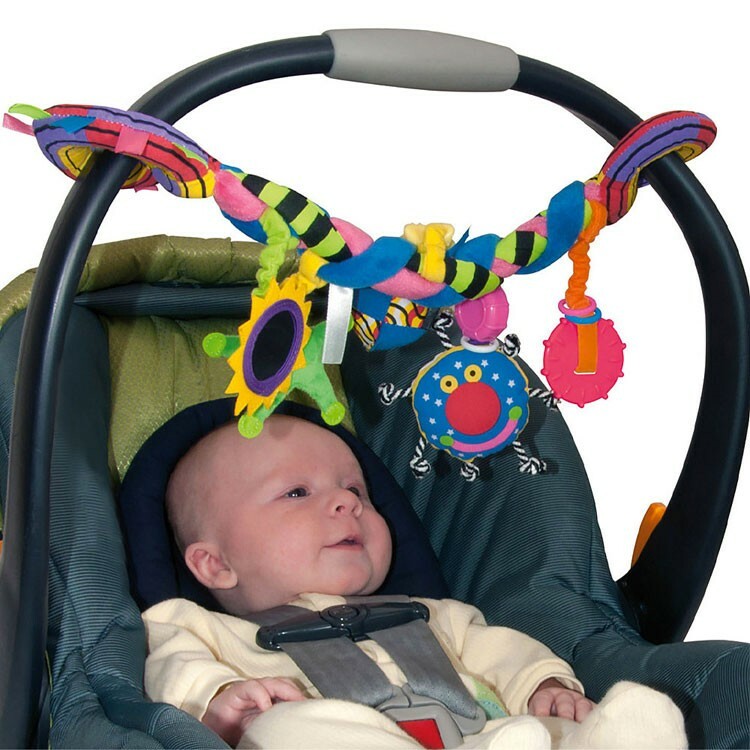 The playful attachments to this baby stroller toy includes smiling Whoozit character, rattle ball, sun framed safety mirror, textured teether, and soft toy star. 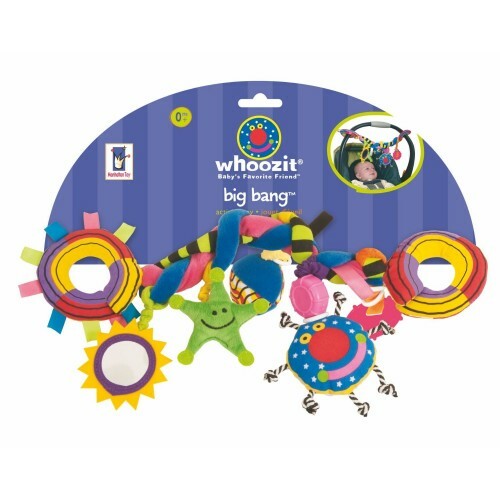 The Whoozit Big Bang Car Seat & Stroller Baby Toy attaches to a stroller, car seat or carrier handle by soft open ends. 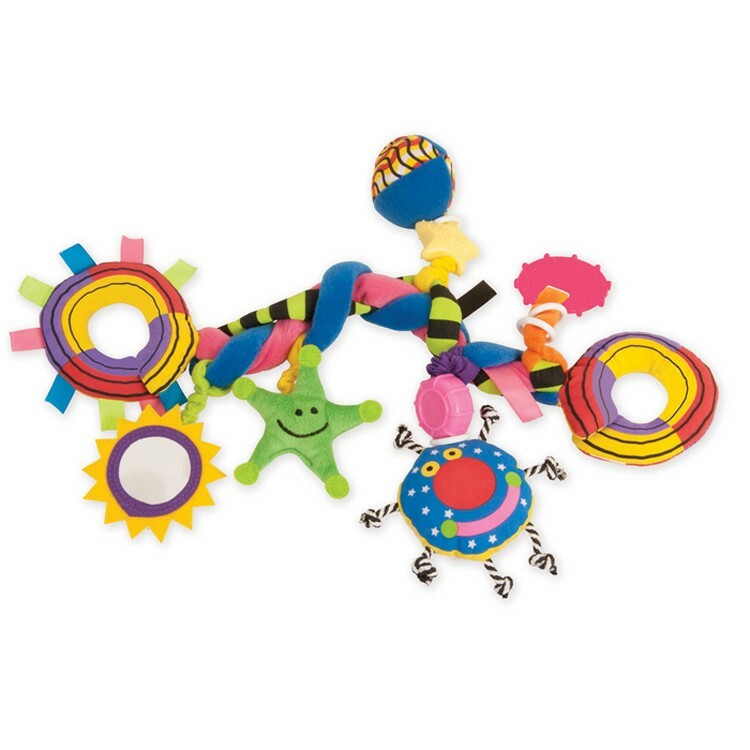 The flexible structure of this manipulative activity toy from Educational Toys Planet allows it to be bent around the handle or just about anything! 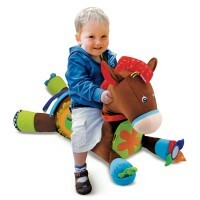 Let your baby to have some developmental fun on the go with this Big Bang of soft toys, rattles and teethers! 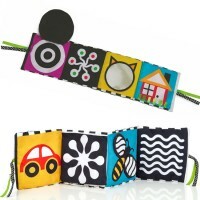 The baby car seat toy measures 10 x 1 x 3 inches. 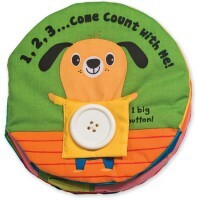 Dimensions of package 10" x 1" x 3"
Write your own review of Whoozit Big Bang Car Seat & Stroller Baby Toy.